Architects look at thousands of buildings during their training, and study critiques of those buildings written by masters. In contrast, most software developers only ever get to know a handful of large programs well—usually programs they wrote themselves—and never study the great programs of history. As a result, they repeat one another's mistakes rather than building on Architects look at thousands of buildings during their training, and study critiques of those buildings written by masters. In contrast, most software developers only ever get to know a handful of large programs well—usually programs they wrote themselves—and never study the great programs of history. As a result, they repeat one another's mistakes rather than building on one another's successes. This book's goal is to change that. 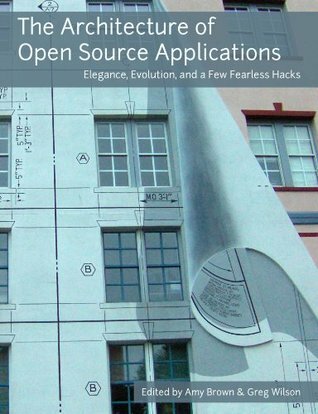 In it, the authors of twenty-five open source applications explain how their software is structured, and why. What are each program's major components? How do they interact? And what did their builders learn during their development? In answering these questions, the contributors to this book provide unique insights into how they think. If you are a junior developer, and want to learn how your more experienced colleagues think, this book is the place to start. If you are an intermediate or senior developer, and want to see how your peers have solved hard design problems, this book can help you too.